Manchester-based Editors Keys has started to ship its backlit editing keyboard, following a hugely successful Kickstarter campaign. The company told Prolific North that it was now in talks with “some of the major production studios in Hollywood” to make customised versions of the product for their edit suites. The keyboards smashed their Kickstarter target of £10k within 72 hours and it received backing from Coldplay’s Grammy Award-winning producer, Rik Simpson as well as Optical Express. 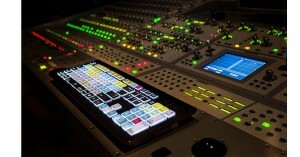 They are the first editing keyboards in the world to be back-lit, to compensate for dark edit suites. Its designers claim that they can speed up the editing process by “up to 40%” while also easing eye strain. Following this success, the Editors Keys said they are now planning further innovations and an expanded range of keyboards.